There have been two contrasting Employment Tribunal decisions recently regarding employees using their mobile phones whilst driving. In both cases the employees were dismissed for that reason citing the acts as misconduct but in one the dismissal was held to be fair and in the other it was held to be unfair. 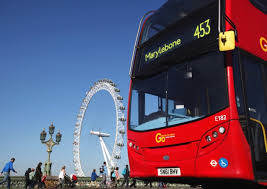 The fair dismissal relates to an employee who was a London Bus Driver. He was parked up with no passengers and decided to have a sleep. He thought that he set the alarm on his phone to wake him up but did not and woke up realising that he had missed his departure time. He was seen on CCTV footage starting the engine and moving off with the mobile phone in his hand. He then took both hands off the steering wheel to put the phone into his pocket. 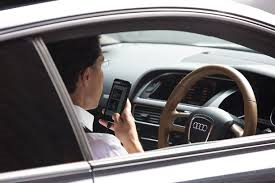 This employee was already on a final written warning and the Tribunal, taking into account the strict policy relating to a ban on mobile phones which included a prohibition on the visible presence of mobile phones in the cab area felt that the dismissal was fair. The unfair dismissal related to an employee who was seen by a colleague driving into the workplace car park whilst using his mobile phone. He had 36 years’ service and an unblemished record. The Tribunal found that the dismissal of this employee was unfair as there was nothing within the employer’s policy that suggested that the provisions applied to employees driving to the workplace in a private car. In this case, the employer also failed to take into account the Claimant’s length of service, clear disciplinary record and stress that he had recently been under. These cases are a reminder of the need to have clear and well drafted policies for mobile phone use. It should also remind employers that in all cases, length of service and clean disciplinary records should be considered in the decision making process. Contact us on 0845 070 0505 (Please note: Calls to this number will cost approximately 4p per minute plus your telephone company’s access charge) (Please note: Calls to this number will cost approximately 4p per minute plus your telephone company’s access charge) for assistance with this area or any employment law issue.